From the word Jayanti the jind town derives and is dedicated to the goddess known for the victory. The temple was build by Pandvas to goddess Jayanti Devi and later on developed to town Jaintpuri town. After some time the town name was modified to Jind. Goddess Jayanti Devi is also known to be Knowing and Kindhearted who listens to the prayers of her devotees. Jayanti Devi is one among the eight sister's, the goddess of Knagra, Jwalaji, Chintpurni, Naina Devi, Brajeshwari, Jayanti Devi, Mansa Devi, Chamunda Devi. A old well is situated in the temple which provide the sweet water round the year. 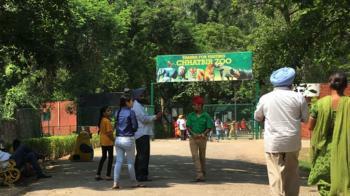 Chhatbir Zoo is zoological park situated closed to Zirakpur. It is also known as Mahendra Chaudhary Zoological Park. 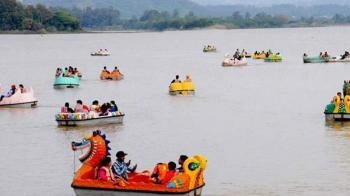 The park is located at 17 km from Chandigarh and 55 km from Patiala. The zoo is spread over 202 acres of land against the attractive green background. Large varieties of Birds, Mammals and Reptiles lived here but the Lion Safari is the most interesting part of the zoo. The animals are kept in open. To fulfill behavioral and physical needs according to their natural habitat can be met similar. The zoo construction pre date to seventies and at present it is a developed zoological park. It is quite interesting to see that how a raw scrubland got changed into a perfect abode for wild beasts. The main key attraction of the zoo is Royal Bengal Tiger, which has the perfect point of interest for visiting the zoo. The Chattbir Zoo has a water body and large wooded parks and jungle area which is perfect for picnic. Many Zoologist visit the zoo for their research on various species of life. There are 950 animals and birds belonging to 85 species which are housed in about 100 animal houses. Most of animals are born here and some are from other Zoo. Shanti Kunj in Chandigarh is very beautiful place. 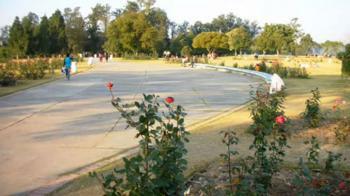 Basically it is a park which is located near to the famous Rose garden. This garden has been situated in a place that is peaceful and which is free from any pollution and noise. 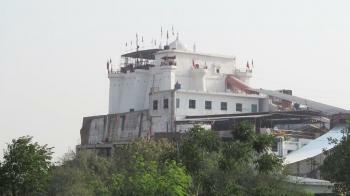 So its name suits its surroundings and therefore the name Shanti Kunj is given to it. It is located in Sector 16, between rose garden and Cricket Stadium. Rose Garden, is a botanical garden spread over 30 acres of land, with 50,000 rose-bushes of 1600 different species. 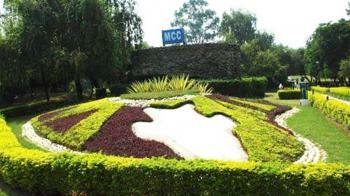 It is located in Sector 16 of the city beautiful, Chandigarh, India. It is the largest rose garden in Asia. Along with the roses emphasis was also given on the trees of medicinal value and some unique specimen trees to enhance the beauty of the garden. The medicinal trees planted here are bel, bahera, harar, camphor and yellow gulmohar. The rose plans are planted in lawns and flower beds which are carved out beautifully. This garden is one of the top tourist attractions of the city with lakhs of tourists visiting it annually. You can see fountains and lights near the main entrance area, there is a kids play area , lush green grass and benches where you can sit and relax and enjoy the beauty of this fantastic garden. You can just walk around and feel the aroma of each flower as you pass through. Rose Garden is well maintained with water fountains, canteen etc making it perfect spot of spending evening in Chandigarh. The Rock Garden of Chandigarh is an amazing place with beautiful sculptures and amazing creativity which converts something considered as waste into works of art. The Rock Garden in Chandigarh, India, also known as Nek Chand's Rock Garden. Nek Chand, a humble transport official in the north Indian city of Chandigarh, began to clear a little patch of jungle to make himself a small garden area. It is located in Sector 1 between the Capitol Complex and Sukhna Lake. Among the popular tourist attractions of Chandigarh, the Rock Garden is visited by an average of five thousand people daily. The local visiting hours of the Rock Garden are from 9:00 am-6:00 pm with extended hours during the summer. It is without doubt, a tourist spot that is a must on the itinerary of visitor to Chandigarh. rockgardenscAn unpretentious entrance leads to a magnificent, almost, surrealist arrangement of rocks, boulders, broken chinaware, discarded fluorescent tubes, broken and cast away glass bangles, building waste, coal and clay-all juxtaposed to create a dream folk world of palaces, soldiers, monkeys, village life, women and temples. The open air sculptures and concealed gateways separating them are at places enhanced by a waterfall, pools and an open air theatre with proper stage setting. 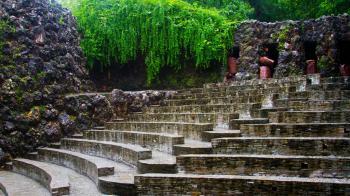 Several prestigious performances have been staged in this small but very artistic and naturalistic open air theatre.